ALL INDIA ANTI CORRUPTION COMMISSION is located in SURAT Gujarat . ALL INDIA ANTI CORRUPTION COMMISSION is registered as a Trust at SURAT of state Gujarat with Ngo unique registration ID 'GJ/2009/0015627' . 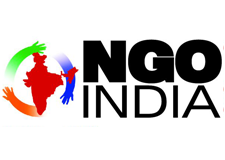 The NGO registration is done by Charity Commissioner with registration number GUJ7AHMEDABAD on the date of 05-05-2005, Its parent ORganaisation is Human Development Welfare Society. The Chairman of ALL INDIA ANTI CORRUPTION COMMISSION is ASHWIN R THAKKAR and Chief functionary officer is ASHWIN R THAKKAR. OUR ORGANIZATION WITH THE HELP OF POLICE FORCE ARRESTED A CULPRIT WITH 8 KG OF GANJA. HE WAS SUBJECTED TO 10 YEARS OF JAIL AND RS 1 LAC FINE WITH THE HELP OF SPECIAL JUDGE OF NAVSARI, GUJARAT. WE HAVE ALSO ORGANIZED BLOOD DONATION CAMP FOR POOR PEOPLE AND ALSO DO MANY HUMAN RIGHTS ACTIVITY.